The world is feeling darker and more chaotic than ever. In a time when culture and Christian values don’t often align, how do you stand confident in your faith, with hope beyond fear? 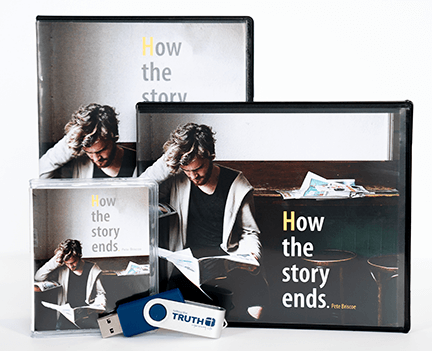 We’d like to help you discover God’s presence and His plans for the world through the prophetic book of Daniel, with Pete’s 6-message series, How the Story Ends. This insightful resource is our thanks for your gift today. When you support Telling the Truth, you enable people all over the world to hear biblical truth on air and online, so they might experience Life in Christ! So don’t forget to request How the Story Ends with your gift below. And thank you for your generous support! *Note that the USB option is audio-only in format.